Are you watching Faces of America on PBS? You should be (also check out African American Lives and African American Lives 2). Pete and I watched African American Lives with his family two Christmases ago and it inspired us to get our own DNA tests. Faces of America has been pretty interesting so far, though it does tend to highlight family members who pulled themseves up by their bootstraps and succeeded in America because they just never gave up, at the expense of the louts and ne'er do wells that exist in every family tree. I can just imagine Prof. Gates doing my "Book of Life": Well, shall we start with your syphiltic great-grandfater or those DeAngelis cousins who were executed by the Allies after WWII? Maybe those draft dodgers in Argentina instead? Still, I like to watch. It inspires me to use my research skills on my own family tree and, exhausting that, Pete's family tree. Episode 3 airs tonight (Wednesday, February 24th) at 8:00 on PBS. 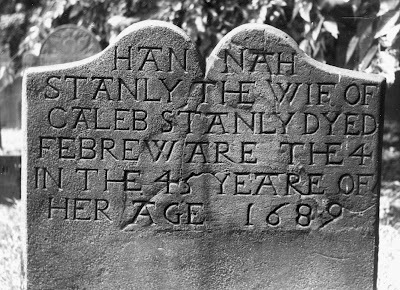 I always enjoy finding out what early New Englanders were reading by seeing what they quote on their gravestones. In English, it says something along the lines of, "But indeed, one must ever wait for the last day of a man's life, and call no one happy until he is dead and buried." Sorry, I forgot about this yesterday. I'm sure that everyone in the world has already seen this video, but it still makes me laugh every time. Note: At the request of Mount Auburn Cemetery, this post has been modified to remove reference to the specific locations of these stained glass windows. In general, I do not spend a lot of time thinking about Victorian-era gravemarkers. I often walk right past the marble monuments on my way to the slate ones. Yet, I enjoyed my recent winter walk in Mount Auburn. I particularly enjoyed peeking into mausolea — they're really quite beautiful inside. Is there a child under all that outfit? 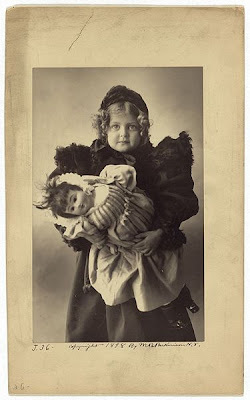 I like this photo because the doll looks as though it has seen some hard play. My American Girl dolls used to have hair like that. Sorry for the lack of posting around here lately. I presented my prospectus to the Early America workshop last week, so I've been pretty busy writing the darn thing, worrying about it, and talking about it. This was not a formal defense, just a draft presentation, but the consensus of the group was that I should not waste any more time laboring over a document that will bear little resemblance to my final project — I should get to work researching instead. That was encouraging to hear, so I will not worry too much about my formal defense, which will take place in April. 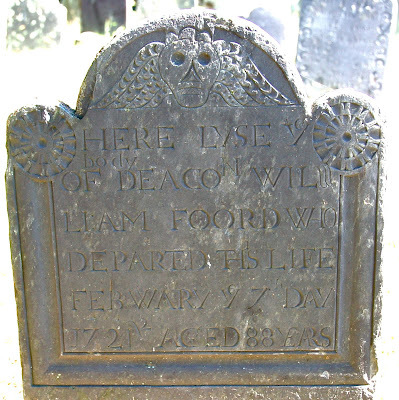 My one-sentence thesis is that New England graveyards (1600-1830) were contested public spaces in which living people enacted political arguments. I have a bunch of examples, several of which I have mentioned on this blog. One thing I'm I little worried about is the wide sweep of my chronology. On one hand, 1830 seems like a logical place to draw the line between colonial-era graveyards and the rural cemetery movement of the Victorian era (Mount Auburn Cemetery was established in 1831). On the other, the heart of my project is in the 18th century and I could probably make my case by confining myself to 1720-1799. I suppose the best thing to do would be to start with an 18th-century chapter that will definitely fall within the chronology and then work my way either backward or forward as necessary. In any event, I'll be a better blogger in the coming weeks now that I have this weight off my mind. 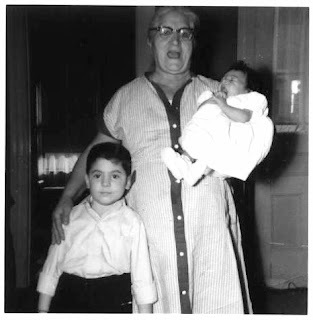 I am a bit tardy in posting this, but only because I spent the day with my mom instead of blogging, so I guess that's ok. My mom is the baby being held (and mocked) by her grandmother. Slate has published a slideshow on this history of pink and blue as gender-specific colors. I recently read Kate Summerscale's intriguing The Suspicions of Mr. Whicher for the class I'm tutoring. It's a great read and I recommend it to anyone who is interested in Victorian England, detective fiction, or the beginnings of modern law enforcement. 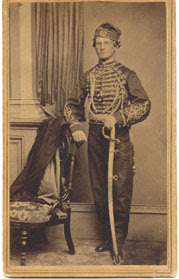 The book concerns the 1860 murder of 3-year-old Saville Kent, a crime that captured the attention of the nation and inspired the genre of Victorian detective fiction. 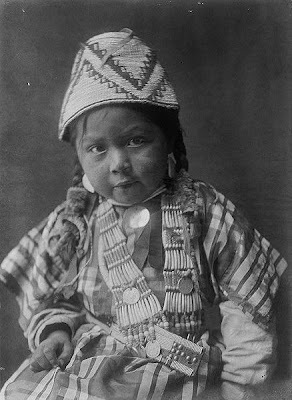 the child has woke and recognised its Father that the Father through Fear of an Exposure in the Family strangled it in the Room after the Nurse Maid had gone to sleep that he there carried it to the Closet and cut the Throat (pg. 166). The use of a gender-neutral pronoun does not seem to indicate that the speaker wished to dehumanize young Saville. Rather, the widespread usage makes me think that Victorians considered a 3-year-old to be more of a gender-neutral child than a gender-specific boy or girl. A few of the court records and press reports do call Saville a boy, but most call him a child and use gender-neutral pronouns. I can't imagine calling a modern 3-year-old it without being punched by its mother. We talk about infants and toddlers in very strongly gendered language from birth, if not earlier. We dress them in gender-specific clothing and provide them with gender-specific toys. Despite our apparent return to some elements of Victorian mourning culture, a wide gulf separates us on this issue. Happy 201st Birthday, Abe Lincoln and Charles Darwin! I will eat a piece of cake for each of you. 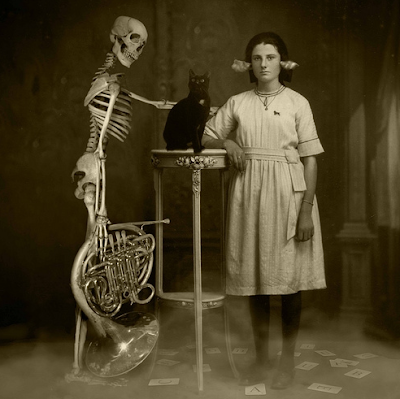 Visit Black and WTF for a collection of strange black-and-white photographs. Today, as I was ripping my new Levenger catalogue into strips to use as bookmarks, it occurred to me that this was not exactly what the Levenger people had intended. 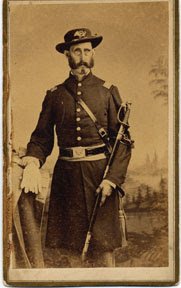 The State of New Jersey has an extensive online collection of Civil War cdvs, many of them featuring excellent hats. 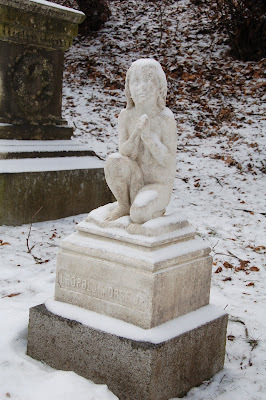 I suppose this child is supposed to be praying, but he just looks so cold. 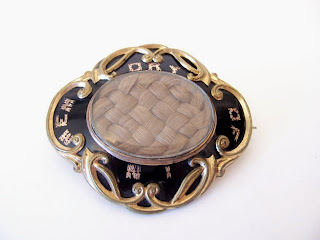 Many people are creeped out by Victorian hair jewelry. If you are one of these people, you are probably not interested in purchasing anything from CremationJewelry.net. If, on the other hand, you would like to wear a loved one's ashes around your neck, please click through. I am a novice quilter. Really, I just like to buy pretty fabric and it sometimes (rarely) makes its way into a project. My least favorite part of quilting is the planning. I'm terrible at the math/measuring/cutting part and can never get the geometric shapes to line up the way they should. In short, I am not a precision quilter. That's why the Cathedral Windows pattern is perfect for me. 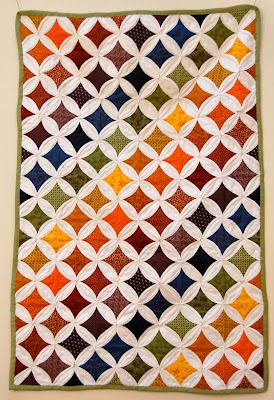 The quilt grows under your fingers and you can stop whenever you feel like it. It's also pretty forgiving of my inability to get blocks to line up exactly. Even though I use the same template to cut out all the pieces, they never seem to be exactly the same size. This pattern allows me to fudge it a bit. One final perk: I can use all the scraps I've been saving for years. 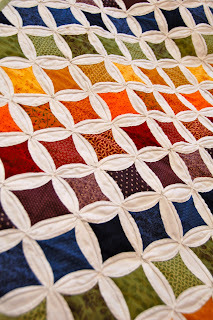 If you are interested in making your own Cathedral Window Quilt, follow this excellent tutorial via Hyena in Petticoats. It has good step-by-step pictures for all you visual learners out there. On my trip to Mount Auburn yesterday, I watched a pair of hawks circle around, startling a flock of starlings everywhere they went. This morning, I went walking in Mount Auburn Cemetery. 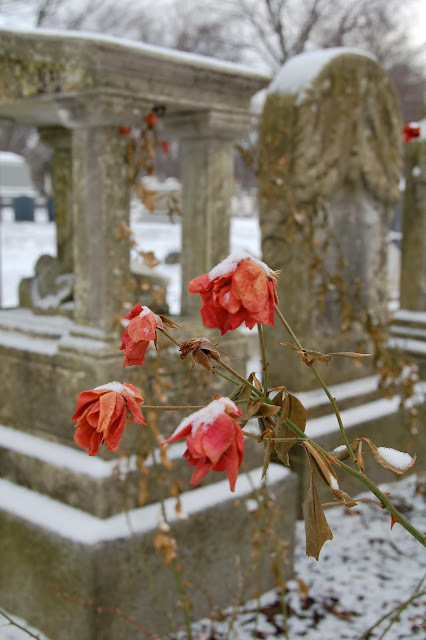 It was snowing, but not too cold, which is perfect for evoking Victorian melancholy without suffering too much. What kind of roses still cling to the bush in February? 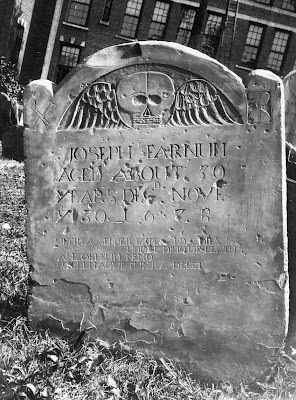 Whoever carved that "JUNR" was not a pro, but it was obviously important for him/her to make a distinction between John Grosvenor and John Grosvenor, Jr. That distinction was not as important to the Foster workshop carver in far-away Dorchester, MA. Celebrate winter with the American Museum of Photography's online exhibit: Faux Snow. 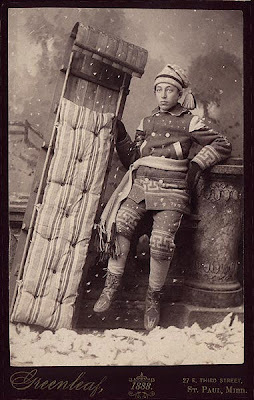 Apparently, late-19th-century photographers sometimes filled their studios with fake snow in order to stage fanciful winter scenes like the one pictured above. While you're there, check out the rest of the museum's lovely digital exhibits. This message brought to you by James Stanclift.